Whether you have pets that shed, kids that track mud and dirt into your home or simply just haven’t had your carpet deep cleaned in a while, carpet cleaning is an important chore. At our carpet cleaning company in NJ, our customers can help keep their families safe and healthy with regular carpet cleaning services. While regular carpet cleaning can help to keep your home in tip-top shape visually, it can also help keep your family safe with a variety of health benefits. 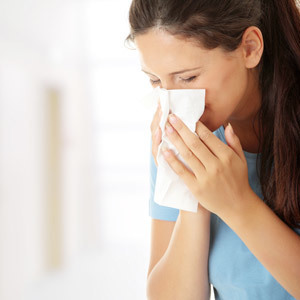 Whether your family members deal with breathing conditions including snoring and asthma or you simply want to ensure that no one has to deal with breaking condition in the future, carpet cleaning can help. If you’ve ever taken a second to Google dust mites, you know that you’ll want to work hard to keep infestations out of your home. When you work with the team at Best Way Carpet and Tile Cleaning, we will be able to remove any infestations you might have by steam cleaning your carpets. If you have pets, regular carpet cleaning is definitely a priority. Pet dander, allergens and other indoor air pollutants can get trapped in your carpets and cause problems for your family’s health, but can’t always be removed with simple vacuuming. Our formulas and vacuums can help to remove the particles that you may not have been able to get on your own. While the summer humidity has come and gone, mold growth can certainly still occur, especially with winter weather on its way! We have found that dirty carpets can be more susceptible to mold growth, which can easily be fixed by keeping your carpets as clean as possible. At Best Way Carpet and Tile Cleaning, we recommend that you keep your carpets vacuumed regularly and also give us a call to schedule a professional deep clean with your carpet cleaning service in NJ. When you work with the team at Best Way Carpet and Tile Cleaning, you’ll be able to take advantage of carpet cleaning services that are sure to improve the health of your family. To learn more about the health benefits of carpet cleaning, we invite you to give us a call today at 732-671-8829. This entry was posted on Monday, October 28th, 2013 at 3:37 pm and is filed under Carpet Cleaning in NJ.